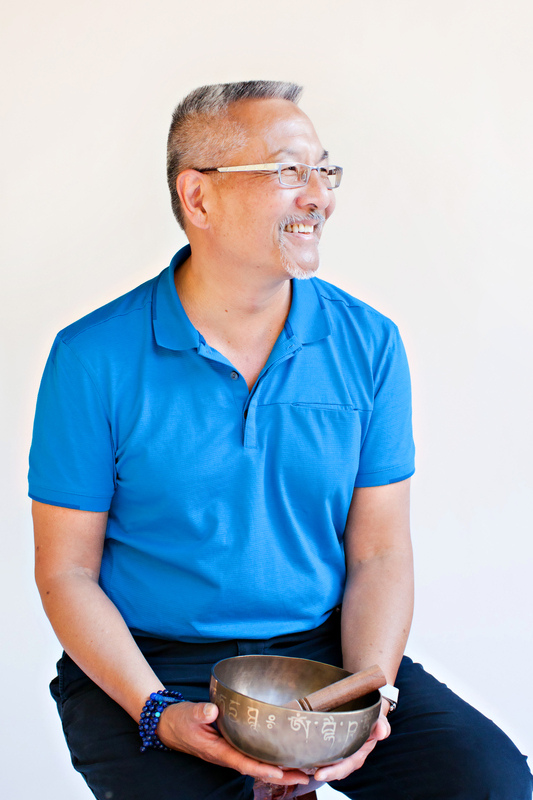 Spirit Rock meditation teacher Larry Yang was elected Community Grand Marshal for the 2016 San Francisco Pride Parade. Yang is on the Spirit Rock Teachers Council and is a core teacher at East Bay Meditation Center and Insight Community of the Desert in Palm Springs. Yang has been active in multicultural and LGBTQ circles for years and co-edited Making the Invisible Visible: Healing Racism in Our Buddhist Communities. In this interview, Yang talks with Spirit Rock about the importance of a "queer dharma teacher" serving as a Grand Marshal and the role of contemporary Buddhism as a driving force for change. Sprit Rock: What is the significance of a mindfulness and meditation teacher being elected Community Grand Marshal of the San Francisco Pride Parade? Larry Yang: I sense that this might be an indication of the interest and the relevance for the Buddha’s teachings in this contemporary time. I also am feeling the creativity and the vision of the LGBTIQ communities to lead the rest of the culture — as it has so many times, in so many human endeavors, from fine art to literature to social justice — towards something that potentially is transformative for us all — the Dharma. And lastly, it is an indication that the Dharma is capable of crossing cultural lines and boundaries. Who would have thought in the Buddha’s time that a queer dharma teacher would have such a role? SR: What does it mean to you personally? LY: This is about so much more than me personally. It is about the energy, the vision and the aspiration of many communities and practitioners from all sorts of diverse backgrounds contributing their efforts towards our collective experience as human beings — easing our path together, giving each other comfort, and supporting each other’s growth. I am humbled by this generous expression from the community. And I deeply honor my co-Grand Marshals, Janetta Johnson, Black Lives Matter, Mia “Tu Mutch” Satya, and Fresh! White who all do such important and meaningful work to support the justice required to manifest a truly Beloved Community and sense of Universal Family. SR: The theme of this year’s parade is “For Racial and Economic Justice.” How will you be holding this theme? LY: With many others, I have been part of efforts in working on these themes in dharma communities for many years. I endeavor to support all the other Grand Marshals in their efforts around this theme. I am deeply humbled by the support from all our multiple communities. My hope is that along with the celebratory nature of the event, the explicit message and theme does not get lost. The fact that all the marshals represent the communities and work that they do is a huge message. No one marshal could truly represent the depth of the work of social change. But all of us together can contribute to a glimpse into the possibilities of social justice as a spiritual practice. We have accomplished a lot, achieved many things not thought possible, and there is so much more work to be done, so much more transformation to manifest. SR: You self-identify as an Asian American queer man. How has Buddhism shaped your identity? LY: The Dharma has permeated my being over the time of my practice, but my identity and culture is integrally a part of who I am as well. I do not believe that I would be a dharma teacher today if I did not have the experience of growing up marginalized in my cultural experience both in race and orientation. In the early practice periods of my Dharma development, I never saw myself reflected in the meditation halls — not in the practitioners attending, nor in the teachers in how they taught or what they taught. I consistently did not hear life stories that were relevant to the life that I was living. I wondered long and deeply, what would it take to get more teachers empowered who were LGBTIQ and/or people of color. That inquiry let me experientially to begin to practice and figure out how to answer that question. As I practiced over time, it became clearer what conditions were needed to create a meaningful number of teachers of color — but I would never really know until I became one myself. So that became my aspiration. Now that phase of aspiration has been fulfilled and I know experientially what is needed, I have been returning to my original inquiry of cultivating and empowering teachers of color and from the LGBTIQ communities. SR: As an activist, how has Buddhism influenced you? LY: Many, many visionaries and social leaders have said that in order to create peacefulness in the world, we need to be able to touch into that place of peacefulness in our own lives. Creating the stillness in the vortex of our crazy fragmented lives helps us to create some sense of calm and tranquility in a world that seems to be crazy with violence and fragmented in its differences and conflicts. As we transform our own experience and relationship to our realities, we cannot help affect those around us in radiating circles into the larger culture. These moments of freedom and transformation, begin to change and elevate the consciousness and awareness of the world. To me, the Dharma is a force of civilization that potentially can support to evolve our collective movement forward towards a better world. SR: For anyone wanting to take action for racial and economic justice, how might the teachings of the Buddha guide them? LY: Especially if one is beginning a meditation and dharma practice, I would take it easy and not be too expectant of explicit results. As activists, we can be invested in the goal or specific change. Take your time. Experiment with the teachings yourself and see if they assist you to navigate the complexities and stresses of your own life. Explore for yourself how the impact of the mindfulness and heart practices can influence your work. Please feel invited to exploring freedom through the process, rather than the outcome. Freedom is distinct and different from justice. Working towards justice and equity are indispensible activities to level the disparities that create oppression. However, freedom is not dependent on external circumstances — not even justice. Can we do the difficult and hard work of social justice, without out hearts becoming difficult and hard as well? Can we deeply engage with working towards justice from a place of inner freedom within our minds and hearts and use wisdom and compassion as forces to change the world? That is the invitation that I am passionate about exploring for myself.